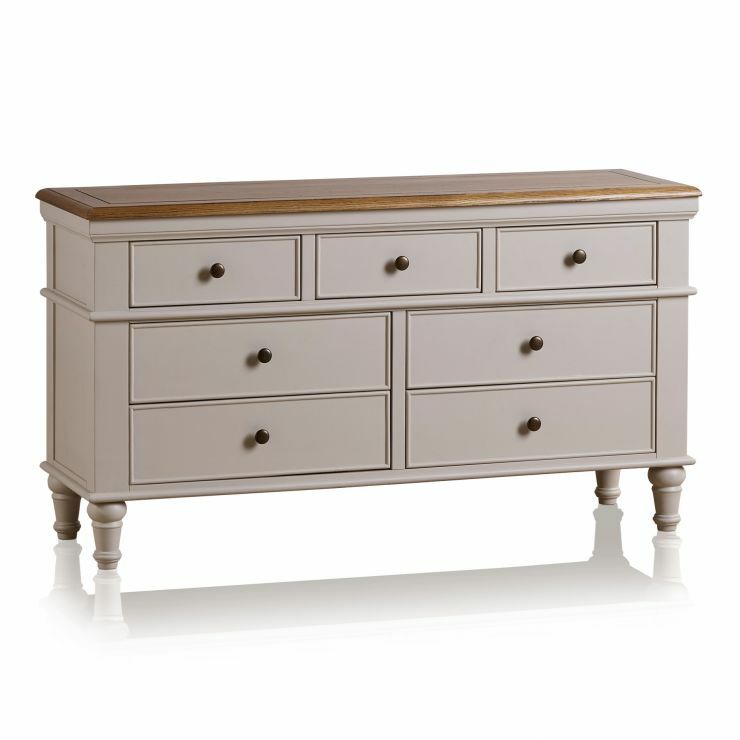 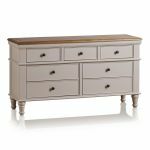 We've designed the Shay painted wide chest of drawers to our high quality standards, so it looks great and lasts in your home. 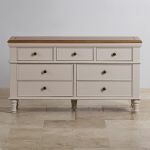 Using the best solid hardwood timbers with high quality finishes, it truly makes an impact in your bedroom. 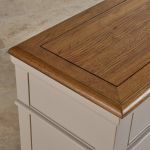 The base is painted in a smooth shade of almond grey, while the top is solid oak, in our popular rustic oak protective wax. 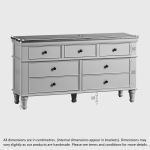 Embodying simple elegance, it has delicate cornices, beautiful turned feet and contrasting dark metal hardware to complete the design. 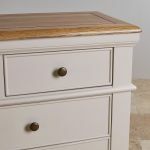 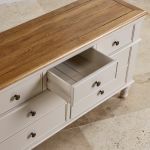 The drawers feature real dovetail joints with solid hardwood bases, backs and drawers for added strength and durability, so you know your chest will look great for years to come. 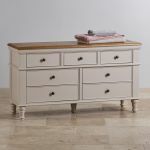 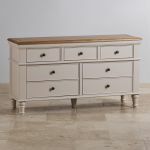 Browse all our fantastic Shay bedroom furniture.